Te Kakau is a three bed roomed house located on the main st of takaka just five minutes walk from the Village. You have access to a large completely private back garden with Te Kakau Stream running through it. This part of the property is not fenced so please monitor children by the creek. We are one of the only PET FRIENDLY accomodations in Golden Bay, dont leave your best friend at home bring them along! This really is your home away from home. WE ARE NOW OFFERING TWO LOVELY BIKES FOR HIRE - so you can enjoy exploring at a different pace. Feed the vibrant birdlife or the local eels from the bridge - This is a small, springfed stream, which flows just to the west of Takaka’s Commercial Street and into the Takaka River. It was a small Maori eel fishery area and was an outdoor playground for local children to boat, fish and swim in. The water supply to the house is from a bore and so you will be drinking some of the most pristine water for which Golden Bay is famed, just out of Takaka are the famed Te Waikoropupu Springs which are well known for their crystal clear pools unseen anywhere else in the world. You are also within stones throw to some of the best beaches in the country, golden sands and wild life abound. There is something for everyone in the Golden Bay no matter what your interest. There is a stream running through the property children must be supervised. Abundant walks and excursions within easy driving distance. Birdsong and eels in the backyard. Comfortable, large house, were you can feel at home. A good place to discover the Golden Bay. we were very comfortable and had everything we needed.Tamara and Doug provided lots of extras and we thank them very much.What a great spot it is and we were able to stroll down the street for coffee or lunch.Lots of beautiful beaches are very handy. 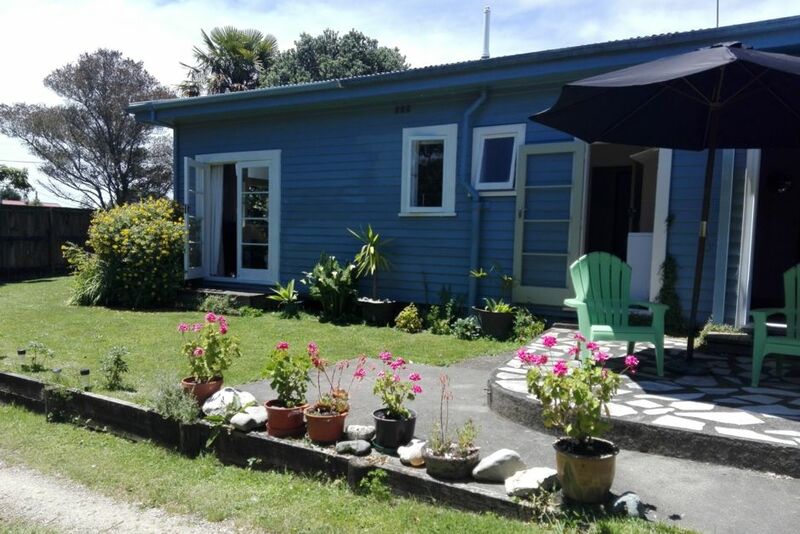 This house is well situated in Takaka being a very easy walk to the shops, cafes etc. It is comfortable and has a very homely feel. We enjoyed our stay. Clean and tidy. Great location in Takaka. Shame it was only for one night.